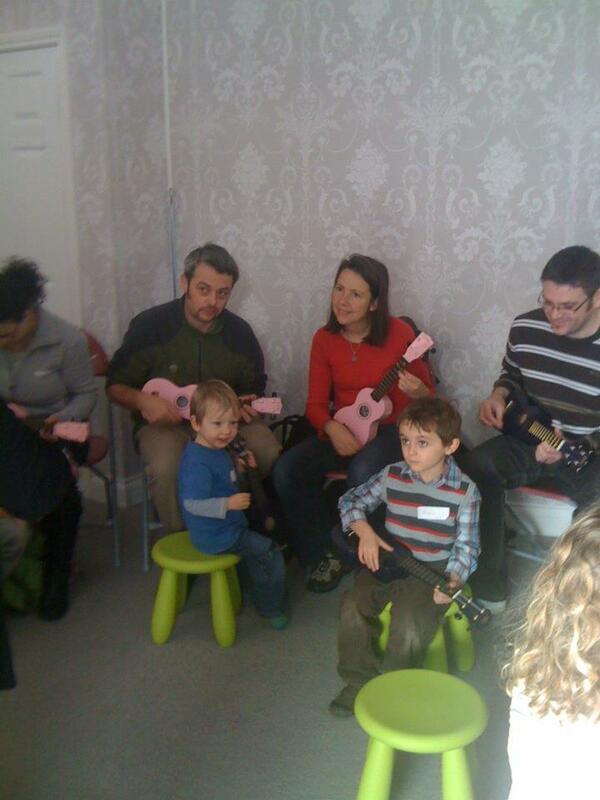 This weekend we opened the door to our Pop Up Emporium for a series of ukulele workshops for families and grown ups. Ukulele tutor Sue Snell, author of the book ‘Uke and Sing’ taught 20 willing participants (who ranged in age from 2 to over 50) a range of simple songs to set them on their path to ukulele happiness. We are working with Sue to run another workshop or two before Christmas but we may need to find a new home as our pop up shop is popping up next weekend. Watch this space for more information. Ukuleles and books can be purchased at the Pop Up Shop from the 19th November and are available in pink and purple.